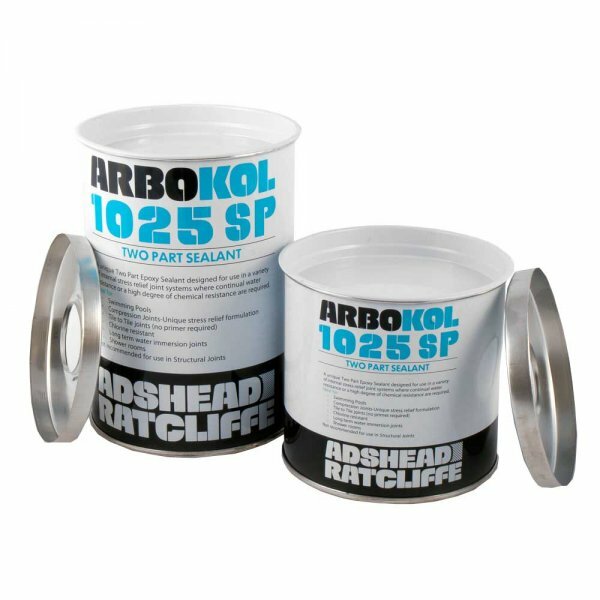 Arbokol 1025 SP is a unique two part epoxy sealant which cures to form a hard wearing seal, designed to accommodate small amounts of movement in extension but considerable movement in compression. 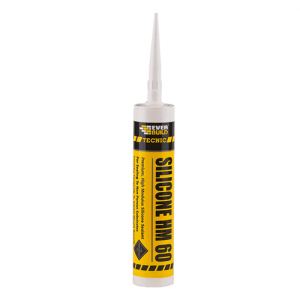 Recommended for use in a variety of internal stress relief joint systems where continual water resistance and a high degree of chemical resistance (especially to common cleaning substances) are required. Arbokol 1025 Swimming Pool is a unique two part epoxy sealant which cures to form a hard wearing seal, designed to accommodate small amounts of movement in extension but considerable movement in compression. Recommended for use in a variety of internal stress relief joint systems where continual water resistance and a high degree of chemical resistance (especially to common cleaning substances) are required. 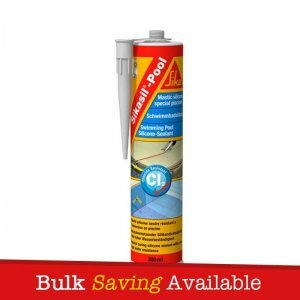 – Recommended for use in a variety of internal stress relief joint systems where continual water resistance and a high degree of chemical resistance (especially to common cleaning substances) are required. 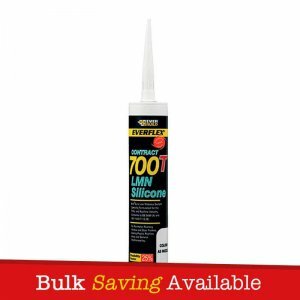 – Swimming pools, compression joints, tile to tile joints (no primer required), long term water immersed joints, shower rooms.